On December 24, 2013, His Holiness, Patriarch Kirill of Moscow and All Russia, expressed his condolences over the death of Mikhail Timofeevich Kalashnikov. 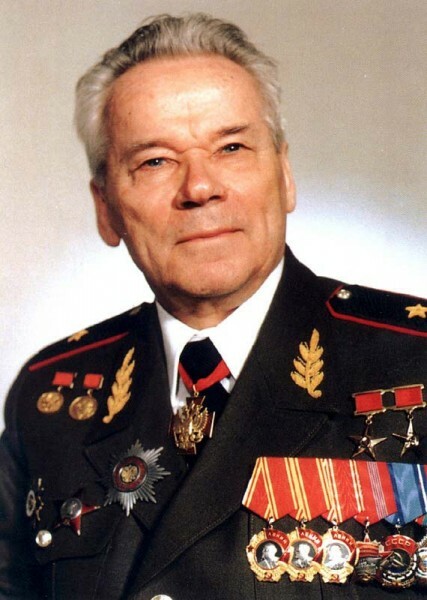 Please accept my deepest condolences on the death of Mikhail Timofeevich Kalashnikov, the outstanding designer, sincere patriot, and worthy son of our Fatherland. Kalashnikov’s name is forever inscribed in the history of our country, for he devoted his entire life to the service of our Motherland. Mikhail Timofeevich knew firsthand what the war years were like: he was a veteran of the Great Patriotic War [WWII], and it was his military experience that later helped him in his creative quests and engineering developments. The deceased was a principled and consistent man, humble and honest, who to his last days stayed faithful to his calling and duty. I would like especially to acknowledge the contributions Mikhail Timofeevich made in reconstructing the St. Michael Cathedral in Izhevsk, as well as his labors directed towards the patriotic, spiritual, and moral upbringing of the younger generation. He was well known throughout the world as a designer during his long life, which was filled with many events and accomplishments and serves as an example of hard work and devotion to the Motherland. In these sorrowful days, I pray for the repose of the newly-reposed servant of God, Mikhail, in the heavenly abodes. May the Lord grant him eternal memory!